We are proud to be the TasTAFE provider for Certificates II and III in Animal Studies, and with that privilege comes the fun of having our awards night! All our past, current and graduating students from 2015 were invited along to our Graduation and Awards Night in March to celebrate their achievements. 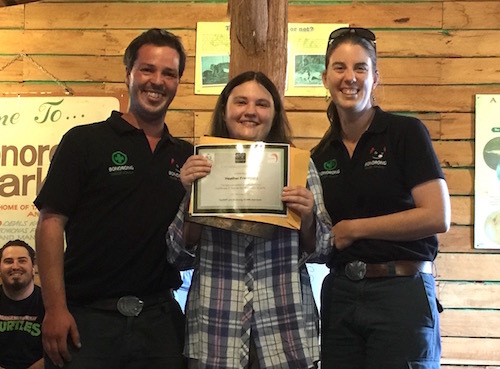 An extra congratulations to Melissa Gard winning the Primary Employers Tasmania Primary industries and Science Award at the TasTAFE Student Excellence awards night in March. You can find out more information about our TAFE courses here.